hd00:32Part of modern sewing machine isolated on black background. 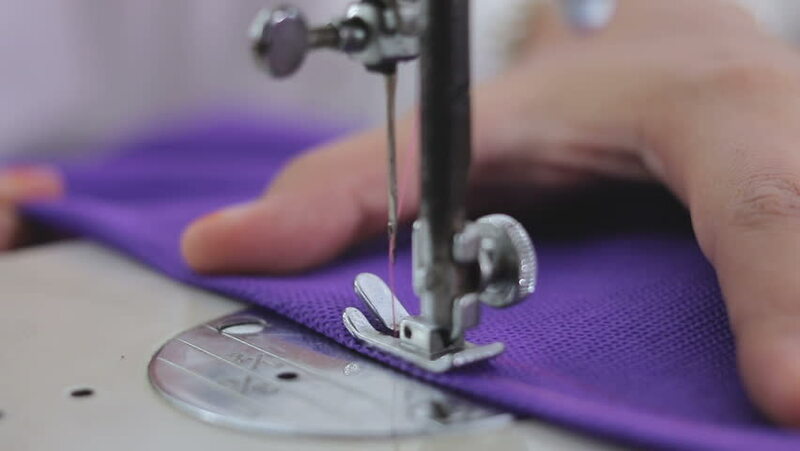 A hand of a dressmaker supporting a cloth while sewing on a sewing machine. Sewing. Slow motion. hd00:23A woman working on a sewing project as she cuts fabric and sews it on a machine. sewing machine close up A hand of a dressmaker supporting a cloth while sewing on a machine.